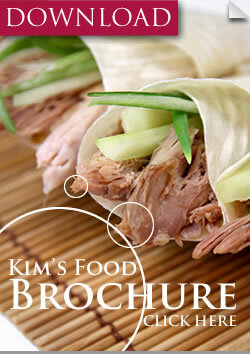 Kim’s Food has been servicing the oriental Food Industry since 1993. Specialising in producing premium high quality Chinese pancakes for Chinese crispy duck, our factory occupies 20,000 sq ft and employs over 40 staff. In the UK to have achieved and maintained the Global BRC Higher Level Certification. Now, with the aid of modern technology, we are able to produce 80,000 pancakes an hour. No other manufacturer comes close. 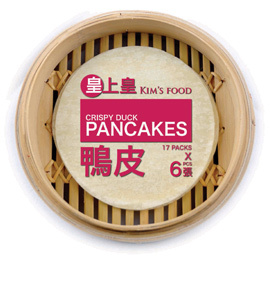 Chinese pancakes productions and that no other Chinese pancake manufacturer comes close to this capability within the Oriental food industry. All our products have achieved BRC Certification and currently served as components to the Ready Meal sector, available at major high street retailers. We plan to expand our range further and launch even more products in the near future. 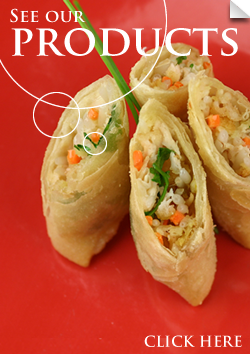 In addition to our range of oriental food products, we are also very keen in collaborating with all food chain sectors. Whether your cuisine is Oriental, Indian, European, American, South American or African. Kim’s food is dedicated in producing bespoke food products to meet our customer’s requirements.